Languages are fascinating. They evolve, grow, and sometimes die out. The language we grow up with can shape how we see the world around us, and even influence the places we decide to go over the course of our life. While every language has its own unique qualities, some languages stand out. Whether it is because of how different they are in structure to the surrounding languages, or a peculiar grammatical rule, they can be a challenge to learn and understand. One language that has always stood out in Europe is Estonian. Let’s take a look at the wonders behind the Estonian Language to give you a better idea of why it is so interesting. Estonian is the official language of Estonia, which is one of the smallest countries in Europe as well as the European Union. As of today, it is believed that about 1.5 million people worldwide speak Estonian, with the majority of them located within Estonia itself. It is considered a part of the Finno-Ugric language group, which is vastly different from the rest of Europe’s languages (which are Indo-European.) In addition, UNESCO world heritage believes that additional steps need to be taken to save the language. Why Are There So Few People Speaking Estonian? The country of Estonia is different to the many other European countries when viewing the last few centuries of history. Estonia never expanded its rule to new lands, and as a result the language never spread across the world. 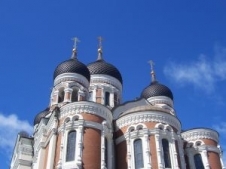 There are no densely-populated colonies of Estonian outside of the country. Instead, most people who speak Estonian will lose the language after 3 generations spent living outside the country. One of the biggest problems is that Estonia and the speakers of Estonian are very small. The majority of teenagers in the United States do not know where Estonia is on a map. This is representative of a greater ignorance around this language and its people. Though coming in a decade old, the Lord of the Rings movies helped bring to life the world of J.R.R Tolkien. Tolkien based many of the languages of his fantasy races off of European languages. The Elves in the Lord of the Rings spoke a language that was comprised of many elements borrowed from the Estonian language.